Self building or renovating in the city can be hard — property prices are high and space is at a premium. Even if you manage to find a plot or conversion opportunity in your chosen town or city, its size and position can make the design process a challenge. But don’t let this put you off your dream of self building in the city – these projects all demonstrate that it is possible, with some really striking results. This three-storey end terrace has been designed to fit into the streetscape without emulating the neighbouring houses. This was achieved through matching the brickwork to other houses on the street and choosing a complementary dark stain for the Siberian larch cladding. 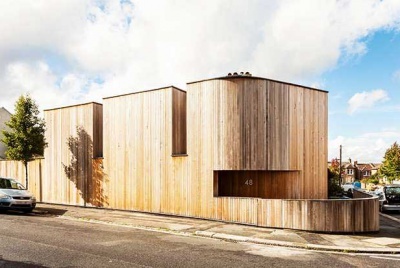 Occupying a tight corner plot, this striking cedar-clad self-build is 100m², including a sheltered courtyard. The triangular plot encouraged innovative design solutions including minimal street-facing glazing, but the result is a light and spacious, highly insulated timber frame home. The combination of bricks laid in Flemish bond and sash windows help this self build to complement the neighbouring Victorian homes. 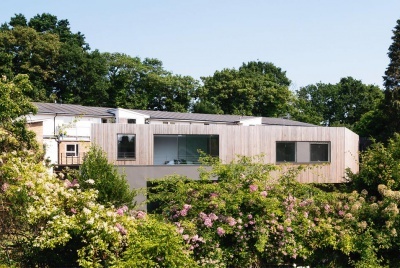 The impressive design facilitated the creation of a five-bedroom home on a small 10x16m plot. Born out of the constraints of a small site, this striking home uses a flat roof to minimise its impact on the local surroundings. This self build on a former garden plot is packed with exciting features — including a hidden entrance. The addition of a basement was necessary to create a the 159m² family home on the small London site. A grill-like window structure adds architectural interest to this end-terrace home in the heart of London. The small site was split into two vertically detached houses, thanks to the corner location allowing the creation of two separate entrances. From 1970s office block to ultra-modern home — a creative solution for city living. Frameless glazing, crisp render and an extension have taken this home from a dull semi to a modern villa. 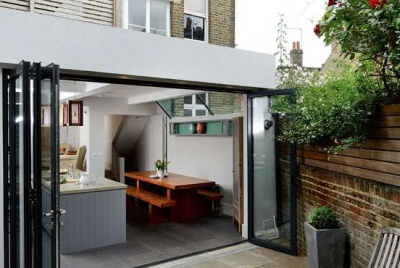 A large glazed basement extension offers additional family living space in this terraced home in the heart of Oxford. 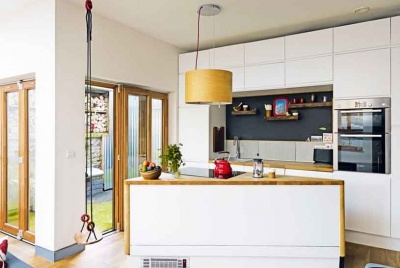 Clever planning allows this single storey home to maximise every available inch of space on its tiny London plot. Two-thirds of this subterranean home is hidden from view at street level in order to comply with the strict planning rules in this London Conservation Area. 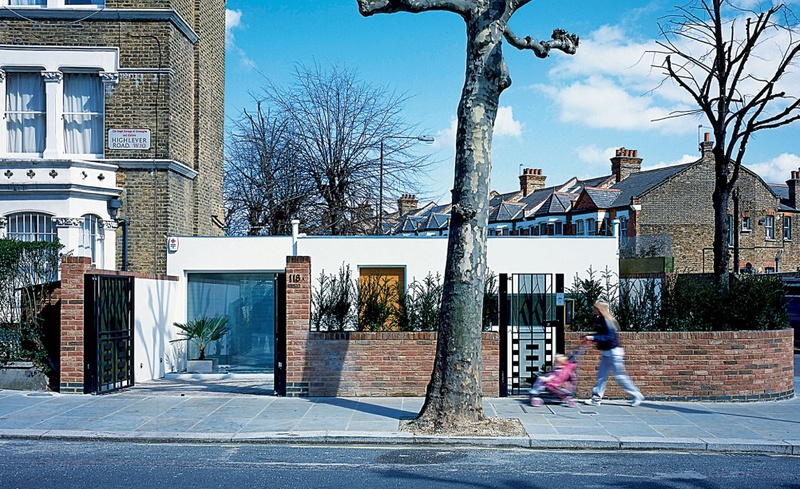 Hiding this 75m² London home behind a high perimeter wall offers privacy for both the homeowners and their neighbours. It also helped to mitigate concerns from neighbours and planners about the property’s external appearance. Replacing a 1950s end terrace with this new home allowed for a basement level to provide extra space.